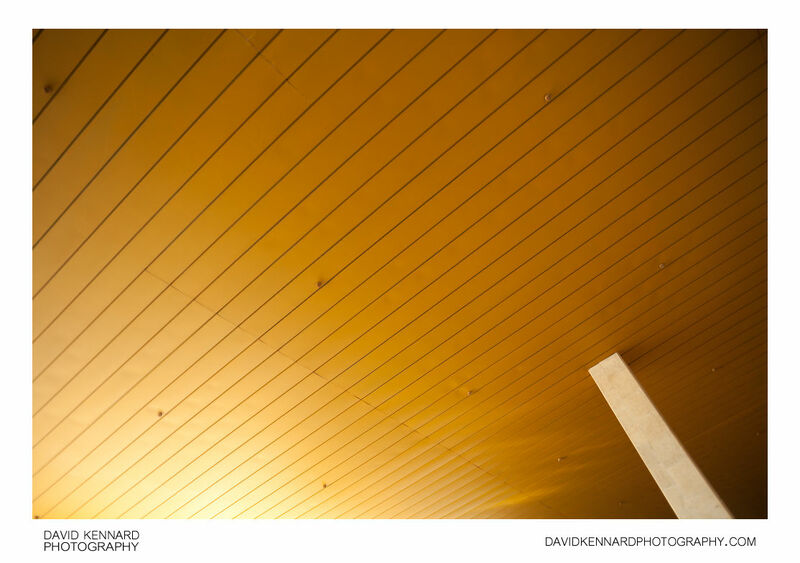 The yellow ceiling in part of Dnipropetrovsk's central bus station (avtovokzal). The building was designed by the architect V. Vesnina, with construction completed in 1993. Dnipropetrovsk avtovokzal is the largest bus station in eastern Ukraine.